The Kreinik factory, outlet and offices will be closed November 22 and 23, 2018 for the Thanksgiving holiday. No threads will be made or shipped during that time. 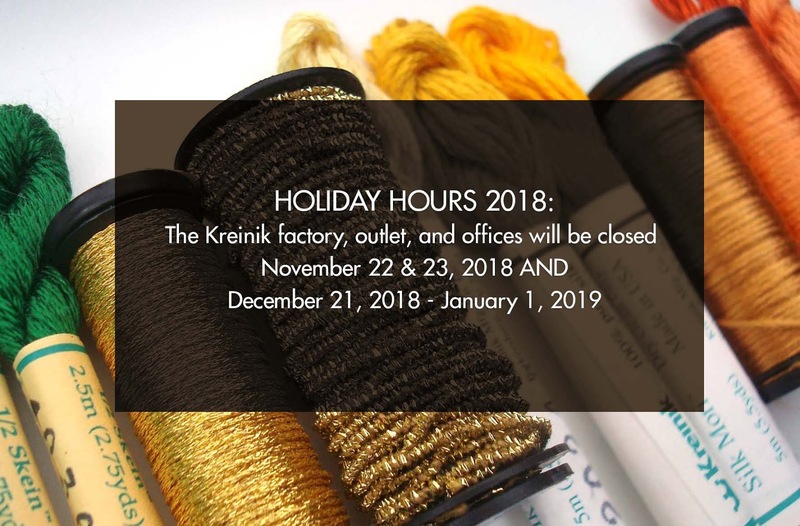 In addition, we will be closed the week of Christmas—starting December 21—and reopening January 2, 2019, so that our staff can spend the holidays with their loved ones.